It was a cherished delicacy that graced the tables of such royal epicures as Henry I, Henry VIII, and Charles II, so special it was served in a pie and sent to court for special occasions. An alternative view is: It was a hideous sea monster, older than the dinosaurs. 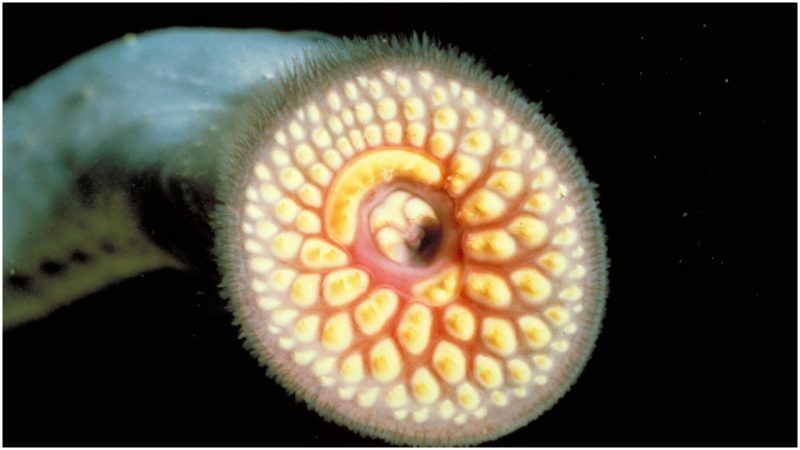 The lamprey is a primitive lineage of eel-like fish which is believed to be 360 million years old. It is bizarre looking, with its jawless mouth filled with tiny teeth, perfect for a vampiric draining of the blood of its victims. 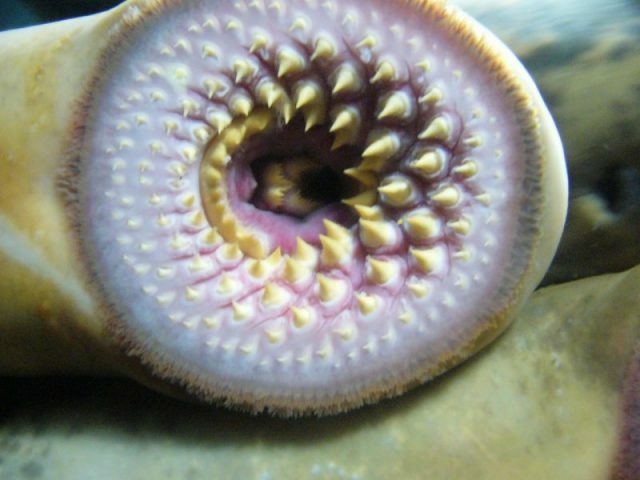 But scientists had not been able to find evidence of the famous lamprey feasts of English royalty, despite its existence showing up in the historical records. A breakthrough came when Alan Pipe, Senior Archaeozoologist at MOLA, took a close look at environmental samples from excavations near Mansion House station in London. The source was a cesspit, with the team estimating its use between 1270 and 1400. 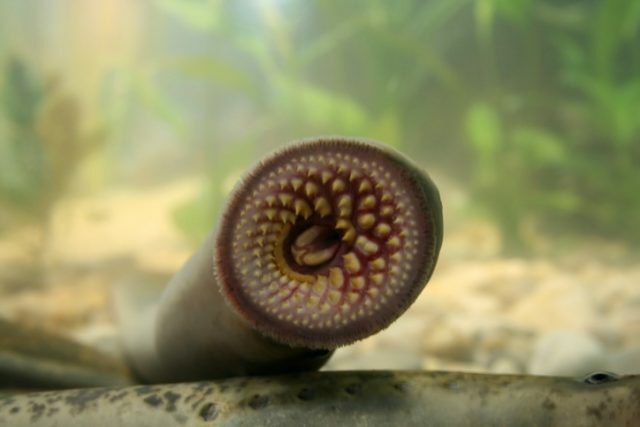 Once they were fairly common, but now the three species of lamprey found in the British Isles (brook, river and sea: two of which feed parasitically) are protected species. 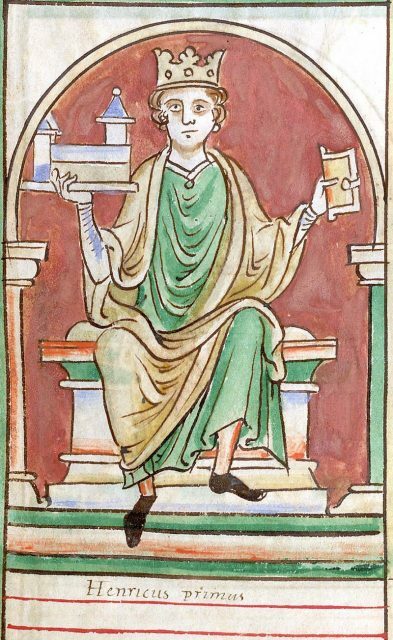 Henry I died on December 1, 1135. 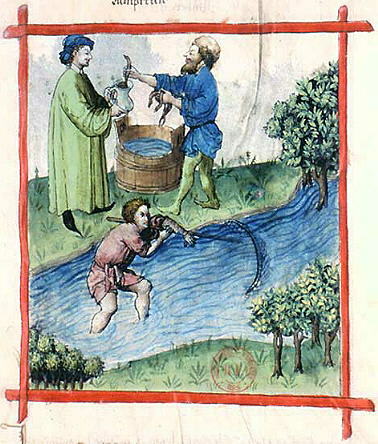 This did not prevent successive kings from demanding meals of lamprey. In fact, John is said to have fined the City of Gloucester the equivalent of £250,000 for failing to deliver his Christmas lamprey pie. For centuries the lamprey was duly delivered, in pies or however the monarchs wished. However, its growing scarcity presented a problem. Gloucester prepared the reigning king or queen’s holiday treat until 1836. At that time, the species had almost vanished from Britain’s rivers, most likely due to pollution. To please the present Elizabeth II, Gloucester resumed its role, delivering lamprey pie for her 1953 coronation, as well as the 25th and 50th years of her reign. 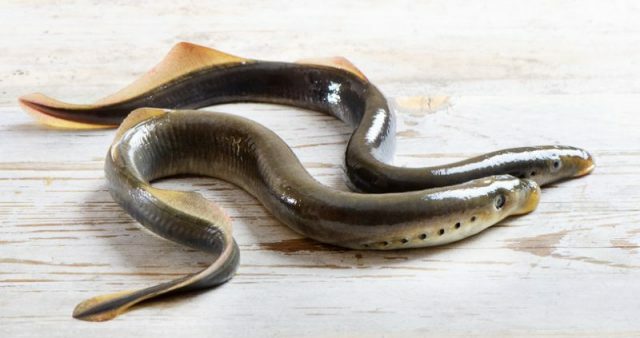 In 2012, it made the headlines that for the year of Queen Elizabeth’s Diamond Jubilee, Gloucester had no choice but to import the lampreys from North America. Dr. Marc Gaden of the Great Lakes Fishery Commission of Canada visited Gloucester to present lamprey to the Gloucester City Council in order that the pies could continue.